staging - What is sugar? Is it bad, or is it necessary for survival? But there's more to this sugar saga. We love talking about carbs here at One Drop. It is, after all, carbs. But did you know that carbs and sugars are one in the same? They are deeply intertwined, right down to their chemical makeup. Sugars, in fact, are carbohydrates; every carbohydrate we eat eventually breaks down into sugar. So in the spirit of staying on topic, let's talk sugar. If you have diabetes, like me, you know that glucose is necessary to live. We check for amounts of it in our bloodstream every day. And it's not just us humans who are dependent on glucose — all forms of life, right down to algae, need it to survive. But did you know that you can get glucose from kale? That it can be obtained through just about any vegetable? Even protein and fat sources? Here's how. Eat food – any food – and it will turn into glucose. This is true even for green veggies! For example: Cows eat grass. The grass, which creates its own glucose through photosynthesis, enters the cow's body as cellulose; the cow's stomach breaks down the cellulose into glucose. This gives the cow the energy it needs to survive and provide for others. Some of that glucose trickles into the milk, produced by the cow, that we drink. It's the circle of life. Or, rather, glucose. A similar process happens with just about everything we eat. (Now, that's 👆 a rather limited scientific explanation, but I'm hoping to spare you the trouble of a much lengthier article.) Glucose, the most natural of all sugars, is absolutely vital to life. We, people with diabetes, know this to a tee; if our blood glucose (the glucose levels in our blood) go too low, we die. In that regard, we do need sugar. Glucose, to be exact. We do not, however, need other forms of sugar. And we don't need to eat sugar to get glucose at all. We do NOT need to eat sugar. Ever. So why do doctors, nutritionists, and just about everyone keep telling us otherwise? Why are we told that sugars are an essential part of our diet? Because they're easy. Sugars (carbohydrates) are the first energy source the body goes to: they are much faster to break down into energy than their protein and fat counterparts. And, at the end of the day, we eat for energy. We need energy. Therefore, we need to eat. And it's sugars (carbs!) that are the preferred fuel source for cells in our body. Why? Because they are so quick to break down into that energy our cells so desperately crave. To a degree, we do need that sugar, that glucose. But, as we saw with our cow, people can get their sugar fix from just about... anything. What we have been taught over the last 70 years, however, is that we need to be getting our sugar fix from a different kind of sugar: fructose. Fructose, a simple sugar like glucose, is naturally found in fruits. Unlike glucose, though, fructose is not the body's preferred energy source. It is exclusively metabolized by the liver. Meaning that unlike glucose, which can be broken down and used for energy by every cell in the body, fructose is limited - it can only be used by the liver. It's fructose that is at the core of every processed food, refined starch, and added sugar. This — fructose, added sugar, refined sugar, refined starch, processed — is what I mean by “sugar.” And we do not need it. At all. Ever. Man cannot and should not live on bread alone. Sugar, in the way that most of the world understands it today, is not necessary for survival. Because much of the world understands sugars — breads, pastas, wraps, grains — as carbohydrates. And carbohydrates, we're told, are a necessary source of nutrition. But it's just not true. Anything man-made is not necessary for our diets. Take it from Dr. Mark Hyman: “Bread is a treat.” Instead, we should look to vegetables, fats, and proteins for our “sugar” intake. At the end of the day, the need for sugar (glucose, in this sense) arises from the need for energy. And we can easily get energy from vegetables. Meats. Dairy products. Seeds. Bottom line: if it isn't nature-made, we don't need it. It really is that simple. Those of us living and breathing diabetes have a bit of an asterisk to all of this. That asterisk points to our low blood sugars. And when we go low, we need sugar. Fast. In which case, fructose and other sugars like it are life-saving. As mentioned above, these sugars break down uber fast! And hit our bloodstream hard with the glucose we need. 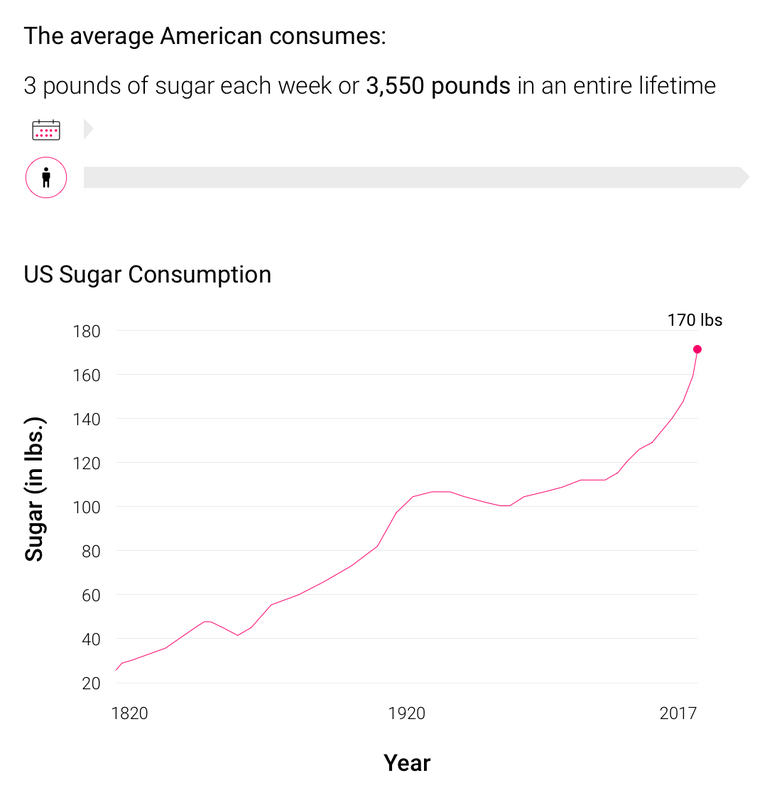 But, beyond our lows, and in the broader scope of mankind, sugar, in its westernized, processed, table version we have come to know it, is completely and utterly unnecessary for our survival.